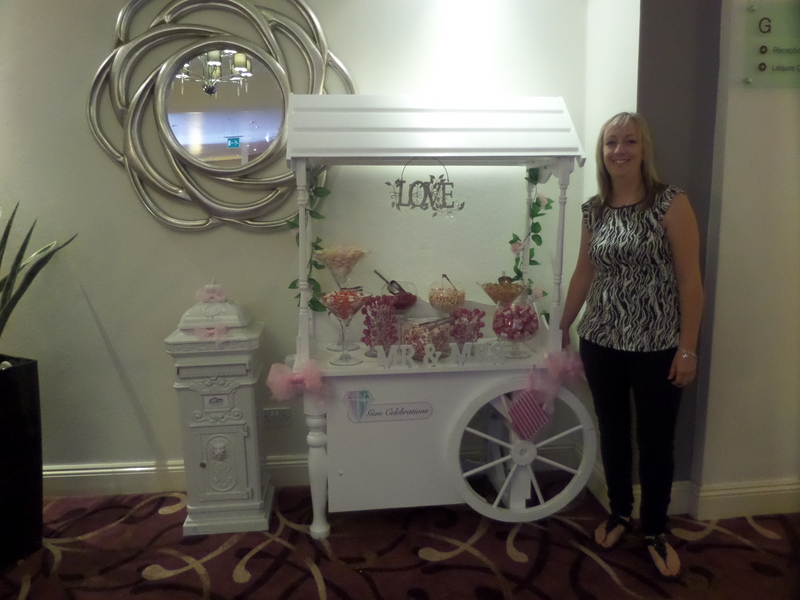 We attended the Wedding Fayre at the Mercure Great Danes Hotel Maidstone on sunday 21st September 10am-3pm, Gemma and Zoe showcased our beautiful sweetcart and other wedding goodies. 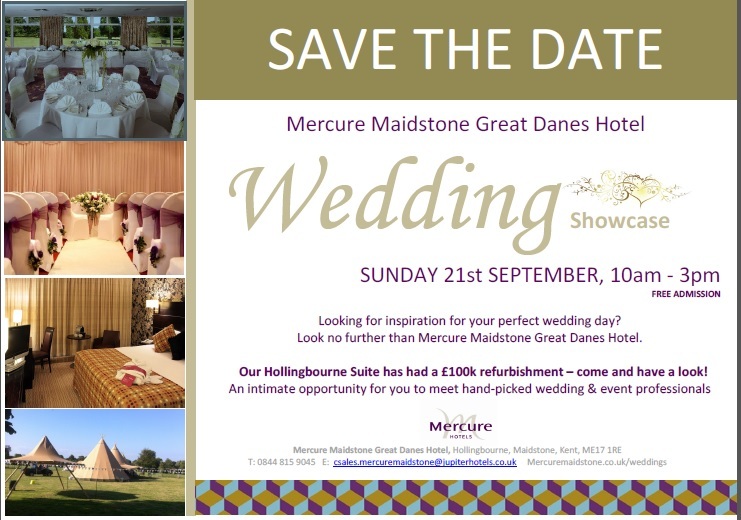 Gem Celebrations had a great day at the Mercure Great Danes Hotel, we welcomed 40 brides to be. 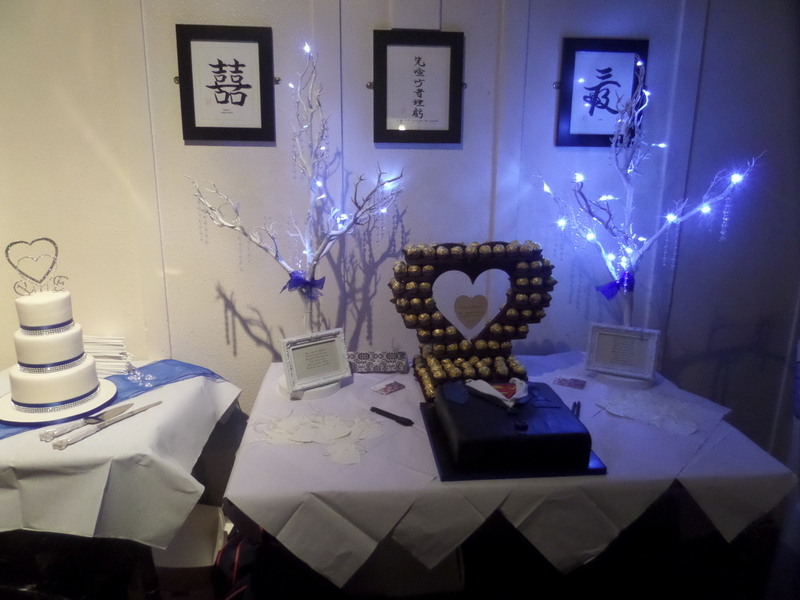 It was lovely to hear all the different plans each bride was making and ideas they had to make there day as perfect as possible. 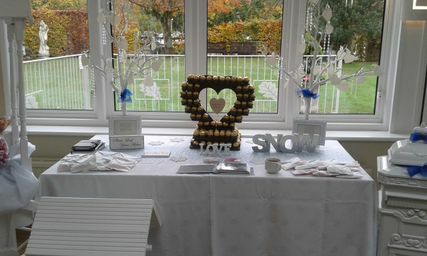 We hope to work with alot of these couples helping to make there day be exactly what they dream of. 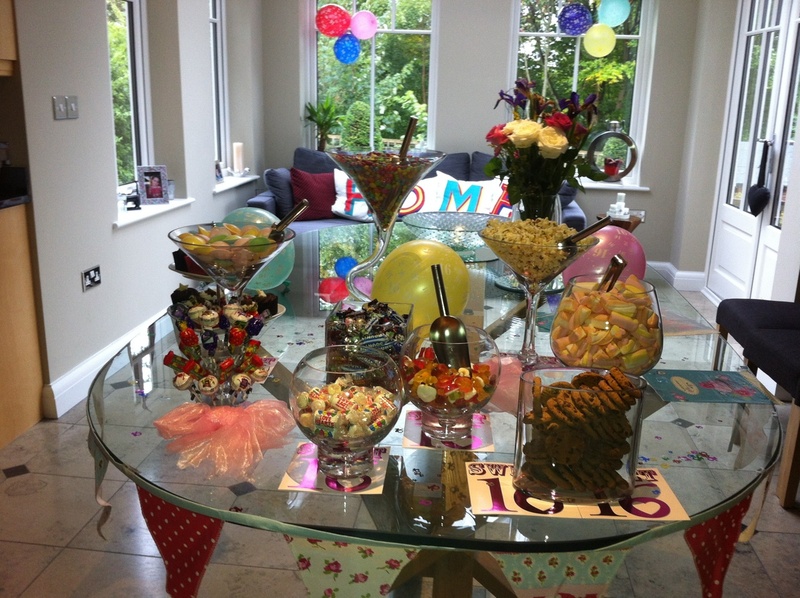 Gem Celebrations was asked to help with a sweet 16 birthday party. 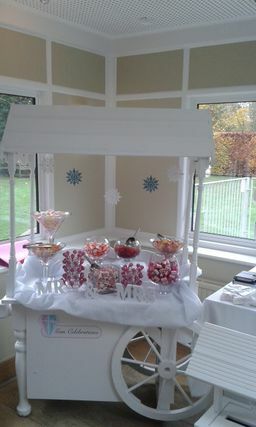 It was decided that the cart was to large for the space being used, so we decided to create a sweet table instead, so still using a beautiful glassware and decor and the sweets and treats of Katys choice we set up a sweetie table for katy and friends to enjoy for the evening. 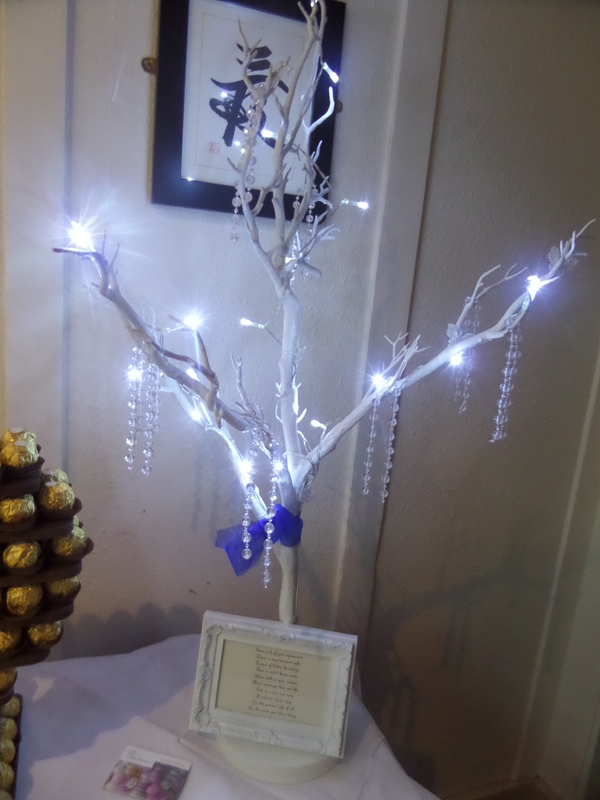 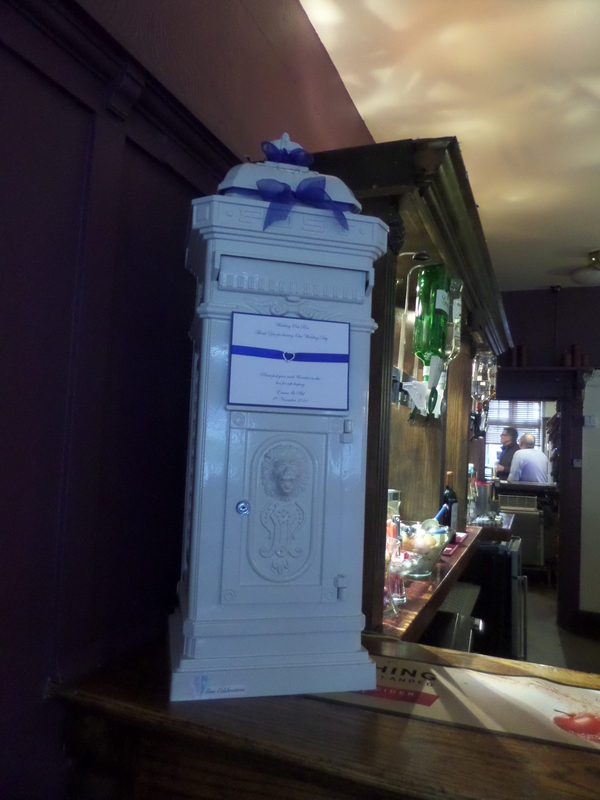 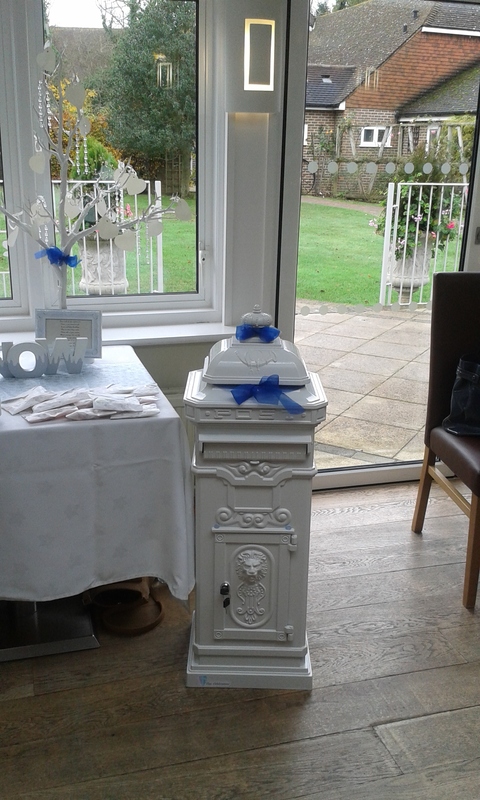 With a royal blue colour scheme Gem Celebrations Decorated the reception venue for Phillip and Emma with two of our wishing trees, Ferrero Rocher heart centrepiece and our postbox took centre stage on the bar. 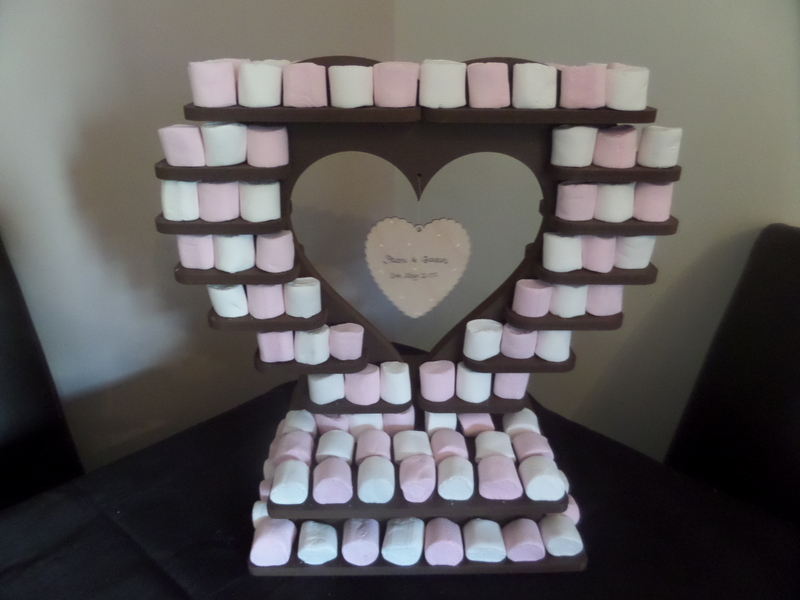 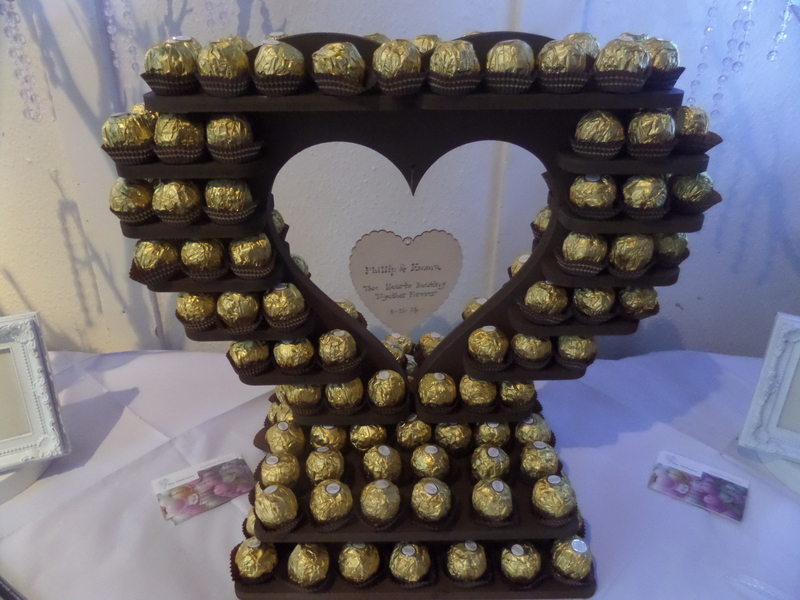 We were asked to hire out our Ferrero Rocher hearts, but this time for something slightly different, they were to hold marshmallows sat next to a chocolate fountain ready to be dipped, we think the heart looks lovely with different colours on. 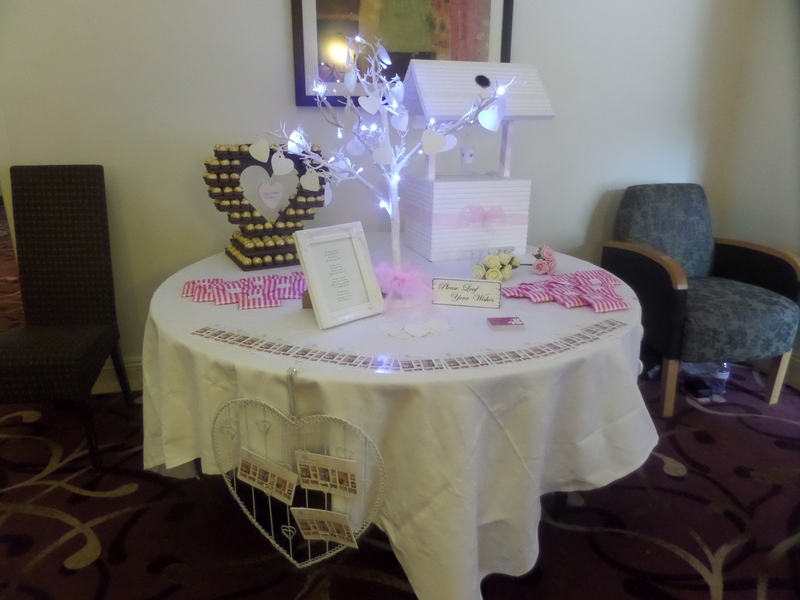 Gemma and Zoe attended the Little Silver Country Hotel Wedding Fayre, We met With lots of lovely couples all very excited about the special day. 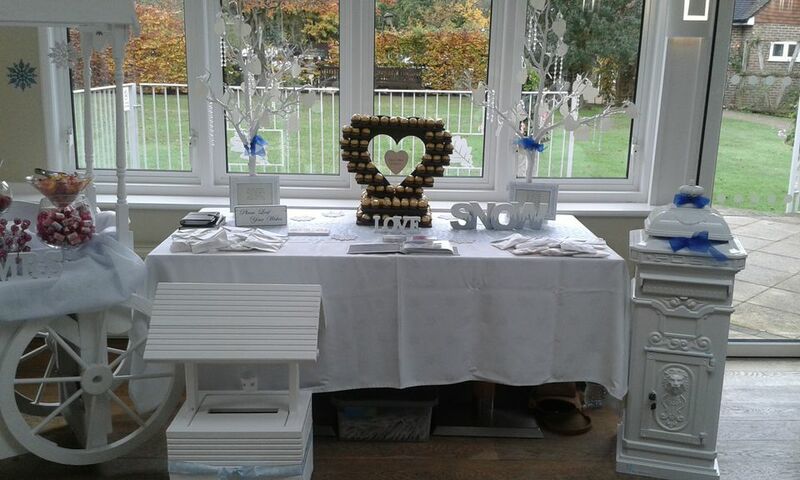 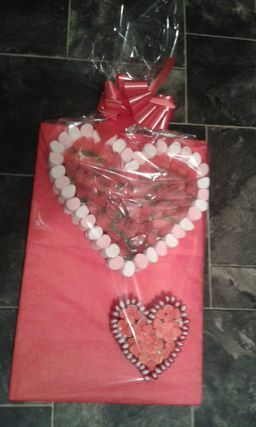 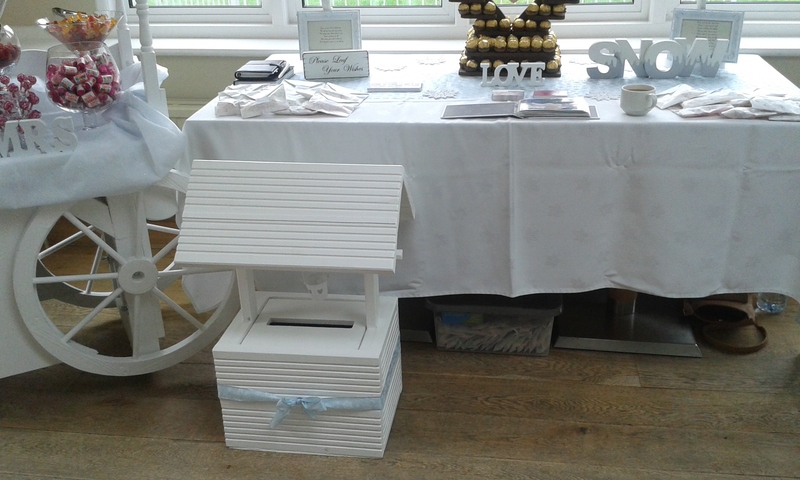 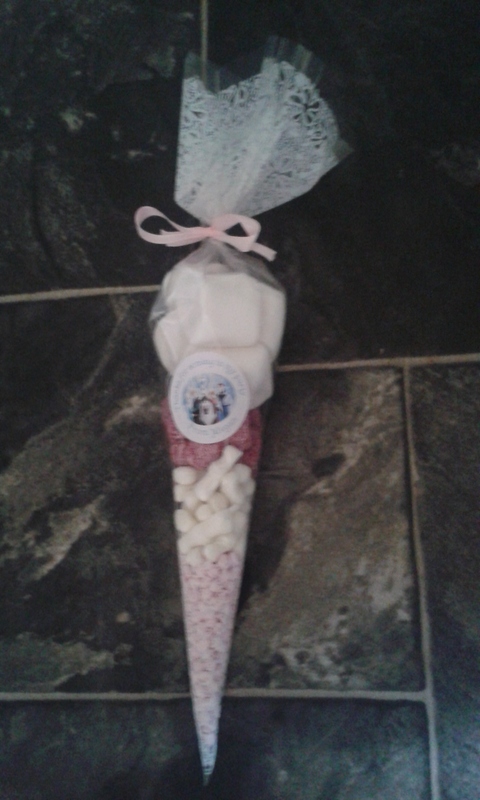 It was a very busy day with many brides too be, we had many enquiries and gave out lots of sweet treats,we also supplied a raffle prize for the day a sweetie cake also made by Gem Celebrations. 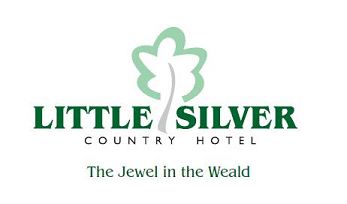 We were also very pleased to become Little silver hotels recommended supplier. 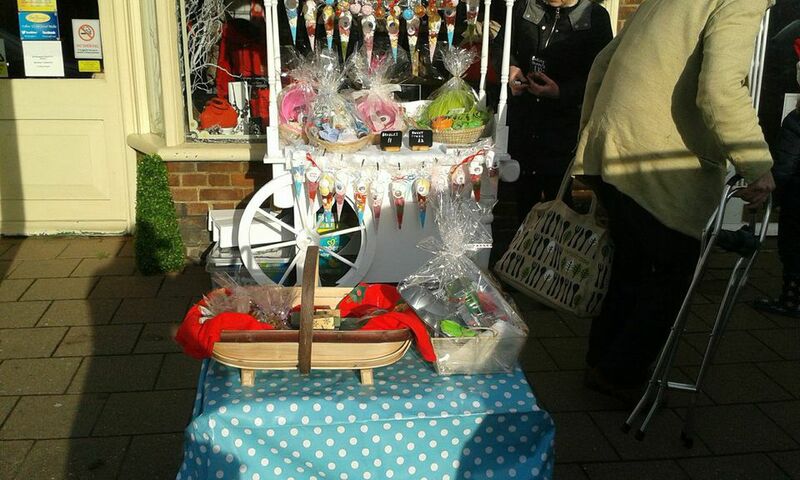 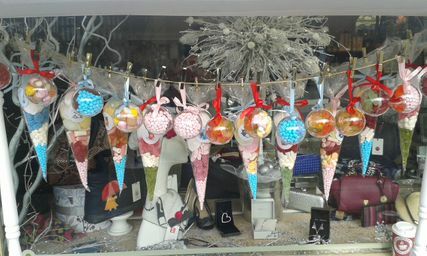 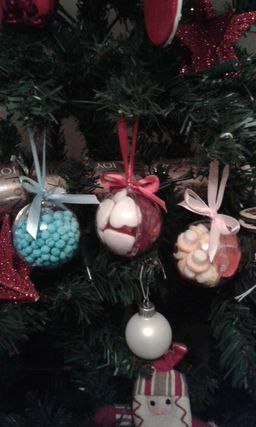 Gem Celebrations was asked by Susan of Bowjangles Headcorn if we would like to be part of the Headcorn Christmas fayre, to showcase our sweet cart and sell some sweet cones and other sweet treats. 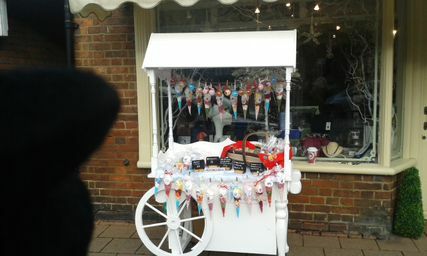 It was a very busy day and with Mr claus himself visiting next door there were lots of excited children around. 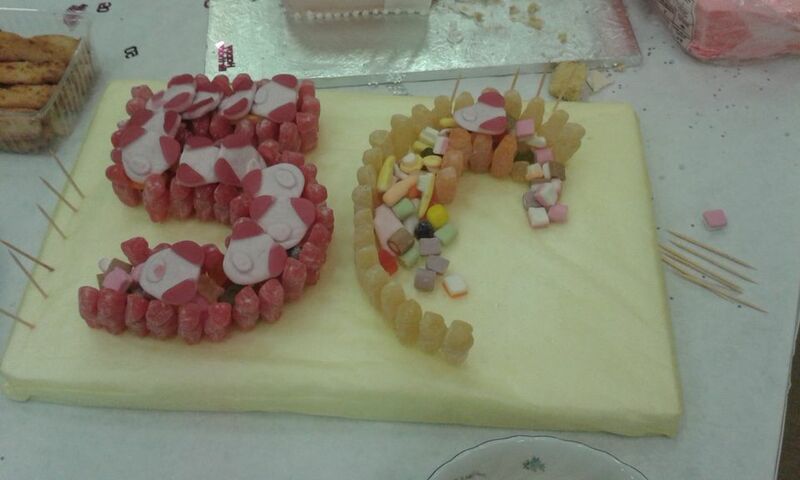 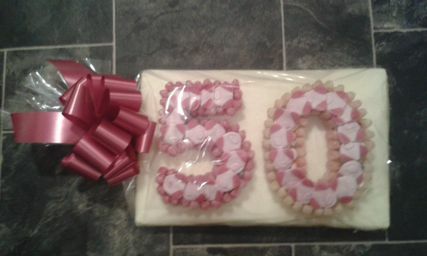 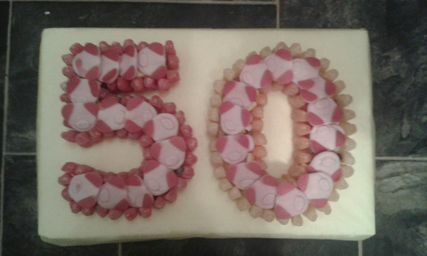 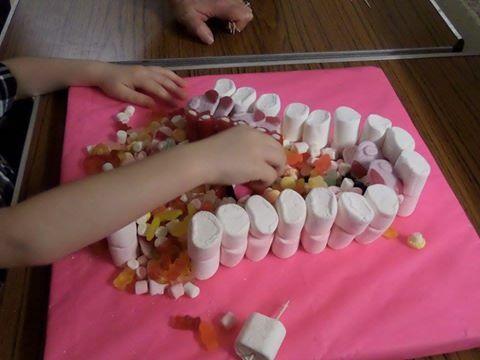 Gem Celebrations was asked to make a sweet cake for a surprise 50th Birthday party, it seems like it was well enjoyed.